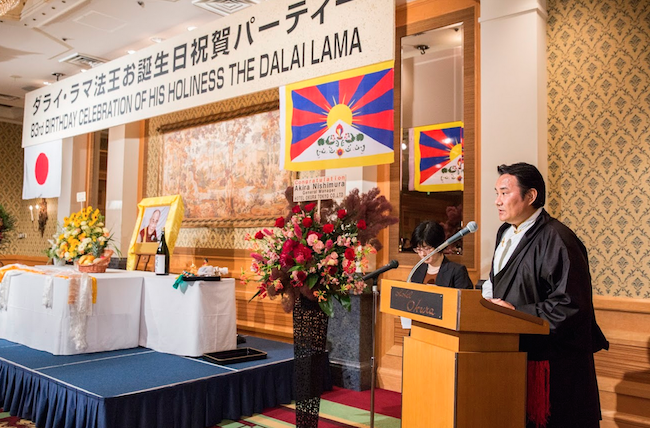 (TibetanReview.net, Jul10, 2018) – The Dalai Lama’s 83rd birthday was stated to have been marked, apparently on Jul 6, at an event organized by the Liaison Office of His Holiness the Dalai Lama in Japan’s capital Tokyo, with the exile Tibetan administration’s health minister Mr Choekyong Wangchuk and the Ling Rinpoche as chief guests. A total of 100,000 captured fish and turtles were released back into water on the occasion, reported Tibet.net Jul 9. Apart from the chief guests, the event was reported to have been addressed by Japanese MPs Mr Uto Takashi and Ms Ishii Mitsuko (from the Japan Innovation Party). Mr Takashi has said the Japanese government under Prime Minister Shinzo Abe had established a new national policy to firmly stand for democracy, human rights, and justice and that the government would give its full cooperation to the international community to further these values in the world. “Japan and each of us will strive to revive these values and help Tibetans to win in their cause,” he was quoted as saying. Ms Mitsuko has said the Hollywood movie Seven Years in Tibet had sparked her interest in the issue of Tibet. 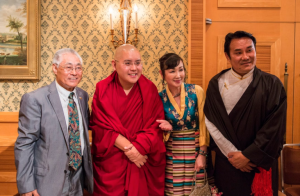 She has lauded the remarkable contribution of the Dalai Lama towards the promotion of positive human values, peace and non-violence in the world. The Liaison Office of His Holiness the Dalai Lama also organized on Jul 6 a ceremony to release one hundred thousand captured fish into a river. The ceremony, led by the Ling Rinpoche and Health Kalon Choekyong Wangchuk, was stated to have been begun with an offering of prayers, followed by the life-saving release of different species of fish and turtles in a river. Tibetans, Mongolians and Japanese well-wishers were stated to have participated in the ceremony.